WELCOME BACK TO FAYETTEVILLE MIKE ANDERSON! As a former Razorback and lifelong resident of Northwest Arkansas I wanted to say WELCOME HOME to Mike Anderson. You made a great choice! We are so happy to have you back in Fayetteville, AR! Below are a few stories regarding Anderson's return to the University of Arkansas as Head Coach! We are honored to have you on as Head Basketball Coach - Mike Anderson... WELCOME! P.S. - Mr. Anderson - if you are reading this and need a GREAT realtor to help you find a HOME in Fayetteville - I WOULD BE HONORED to help you! 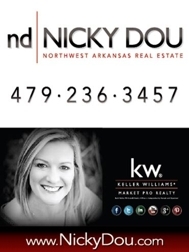 To all other HOG FANS - if YOU or ANYONE you know is looking to BUY or SELL Real Estate in Northwest Arkansas - text, email or call me today! Hoot 2 Scoot in Fayetteville, AR | looking for something fun to do?